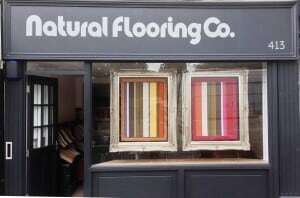 The Natural Flooring Co is a recently opened flooring showroom in Locksbottom village – a picturesque setting in Kent: that has the perfect blend of characterful sophistication and laid-back charm, yet set only 20 minutes from the madness of central London. Apparently this area is the undiscovered jewel of the south east’s commuter belt which is reflected in the demography of the area and the high-incidence of 4×4’s and electronically gated communities. The shop is part of a vibrant high street that is somewhat reminiscent of the town streets of old. Locksbottom’s appeal is found in its select collection of shops and restaurants that add a cosmopolitan dimension to what would otherwise be any thriving small town high street in middle England. The shop has an individuality that makes it distinctive from other bland high street carpet retailers and has been set up to offer only the very best in natural flooring materials, textures and design. Its flamboyant owner’s vision was to create an environment as far removed from the conventional perception of what a carpet shop should look like. His intention was to give architects, interior designers and customers an experience of a more personal and bespoke nature which will be designed around their exacting requirements. The Natural Flooring Co shop offers an extensive range of wool carpets, sisal, coir, seagrass, jute and bespoke made-to-measure rugs and they are also venturing into the more industrial high tech flooring market by complementing their soft furnishings with a custom, hand-finished polished concrete floor service. 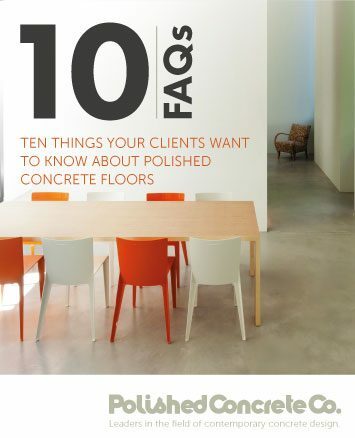 The owner says that the shop will be showcasing this new product with their own individually created polished concrete floor. With its own unique, eclectically designed interior and its new floor, with its feel and industrial appearance, they will show how this product can be used to enhance any architectural style – whether a modern, rustic or coolly elegant interior is the desired result. This entry was tagged carpets, flooring shop, natural. Bookmark the permalink.